VMware Player 3.1.3 0 out of 5 based on 0 ratings. - When you install VMware Player on an operating system that uses a post-2.6.34 Linux kernel, the vmmon module fails to compile. - The vmxnet and vsock guest modules fail to compile on operating systems that use post-2.6.32 Linux kernels. - When you install VMware Tools on an operating system that uses a post-2.6.34 Linux kernel, the vsock.ko module fails to build. - Unity mode does not work with an Ubuntu 10.10 64-bit guest operating system. - An unrecoverable error occurs when you select the Novell NetWare, Sun Solaris, or Other guest operating system type in the New Virtual Machine wizard. - The known issues under this section is only applicable when upgrading from the VMware Player 3.1 release candidate to the current VMware Player 3.1 release. * Upgrading VMware Player on non-English versions of Windows Vista and Windows 7 hosts might cause the vmUpdateLauncher.exe program to fail and trigger high CPU and memory usage.Workaround: In the %PROGRAMFILES%\VMware\VMware Player directory, replace the vmUpdateLauncher.exe file with the one available on VMware Communities. - The WDDM graphics driver included in the VMware Player 3.1 release is not compatible with VMware Player 3.0 and earlier releases. To run a virtual machine in an older version of VMware Player, revert to the previous version of the WDDM driver. * Workaround: Uninstall the current version of VMware Tools and install the previously released version. - On Windows hosts, if VMware applications or virtual machines are running under a different user, then the current user might not be able to upgrade VMware Player concurrently. - On Linux hosts, changes to the System proxy settings and Manual proxy settings might take effect after you restart VMware Player. - On Windows Server 2008 hosts, if you are not logged in as an Administrative user or your group policy disallows .msi installers, VMware Player and VMware Tools update might fail. - In some instances, using Easy Install to create a virtual machine with Kubuntu 10.04 might result in a blank screen after the virtual machine restarts for the first time. * Workaround: Restart the virtual machine. - Installing the Linux version of VMware Player in a directory where the path contains spaces, might cause the OVF Tool to launch incorrectly. * Install the Linux version of VMware Player in a directory path without spaces. * Edit line 23 of the ovftool script to contain the following command: "$OVFTOOL_BIN" "$@". - On SUSE 11.2 and possibly other Linux distributions, the sudo command does not preserve the DISPLAY environment, which could cause the VMware Player installer user interface to fail. * Workaround: To preserve the DISPLAY environment add Defaults env_keep+="DISPLAY" to the /etc/sudoers file. - Installing VMware Player in a directory path that contains non-ASCII characters might cause an unsuccessful installation or cause guest application shortcuts to become unresponsive when you try to open them. * Workaround: Install VMware Player in a directory path containing only ASCII characters. - In some cases, entering Unity mode on Windows 7 virtual machines with Aero configured to use more than two monitors could disable migration of Unity windows between monitors. * Workaround: Exit and reenter Unity mode. - Exiting FIFA 08 game on Windows 7 guests and hosts with Aero enabled, might cause the desktop wallpaper to turn black. - Running OpenGL applications using full screen view across multiple displays on a Windows XP virtual machine might fail. - There are known issues with the ATI Linux driver 10.2. VMware recommends that you use ATI Linux driver 9.11 for the best 3D user experience. - On Fedora 13 and Red Hat Enterprise Linux 6 virtual machines, Unity mode might not support maximizing virtual machine application windows. - When running Left 4 Dead application, transitioning the virtual machine between console view and full screen mode, might cause the application to display incorrectly. * Workaround: Restart the application to restore display. - Running a virtual machine on a Linux host with grsecurity patches might cause the host to restart unexpectedly. - Running a script event as root to suspend Fedora 13 or Red Hat Enterprise Linux 6 Beta 2 guest operating systems might not suspend the guests. * Workaround: To suspend the Fedora 13 guest, apply a policy file greater than selinux-policy-3.7.19-57.fc13. - Attempting to restore a virtual machine snapshot on a host with Diskeeper 2010 installed might fail. * Workaround: Upgrade to Diskeeper 2010 version 14.0.898.0 or later. - On Ubuntu 10.04 hosts, powering on a virtual machine with ThinPrint enabled might fail with the error message "thnuclnt: relocation error: /lib/tls/i686/cmov/libnss_files.so.2: symbol strcmp, version GLIBC_2.0 not defined in file libc.so.6 with link time reference". - Using fast user switching might cause unpredictable behavior in the Windows virtual machine, including problems with the mouse and with CPU usage. * Workaround: Allow the Windows guest operating system to start and reach an idle state before you log in to the first user account. - Printer device might not work on Ubuntu 10.04 hosts. * Workaround: Manually configure the network or USB printer to print from the virtual machine. 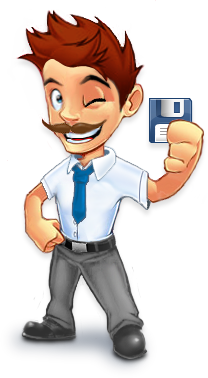 - Converter does not support virtual disk size that exceeds 950GB. * Workaround: Change the disk size value to 950GB.